Spellbinders Expandable Patterns dies allow you to expand designs in all direction to create on a larger scale. 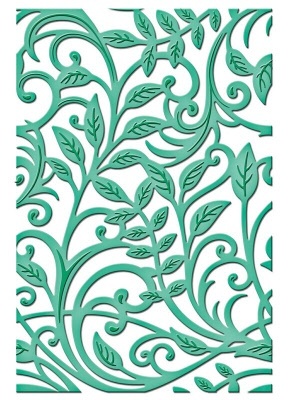 Botanical Swirls is full of wonderfully detailed cuts of leaves and swirly vines that fit any occasion. These detailed die templates are wonderful addition to your creative needs! Spellbinders Shapeabilities® dies cut, emboss and stencil with a single die template.